A modern All-American family deals with the struggles of life and love in mid-western suburbia. 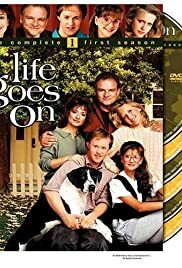 Every week I watched "Life Goes On" and it was the best show ever. Kellie Martin was the breakout star; she was great. Her boyfriend, Jesse McKenna, played by Chad Lowe, was wonderful. Corky was terrific. There is only positive about this show. It was great and I wish some network would rerun it now.